With a population of roughly 200 million people, Brazil is considered a hot marketplace for e-commerce merchants to enter. In fact, according to yStat.com’s forecast, business-to-consumer (B2C) e-commerce sales in Brazil will top $20 billion (excluding travel) by 2018. While not close to the U.S.'s online sales (roughly four times that each quarter), Brazil is certainly a market to keep a digital eye on. yStat.com, a Germany-based firm, reports the booming online retail market in Brazil is partly due to a high share of the clothing segment and high penetration of luxury buyers who shop high-end items exclusively from the Internet. Brazil’s e-commerce buyers, like U.S. shoppers, are also influenced by social media and put a high importance on a free delivery option. 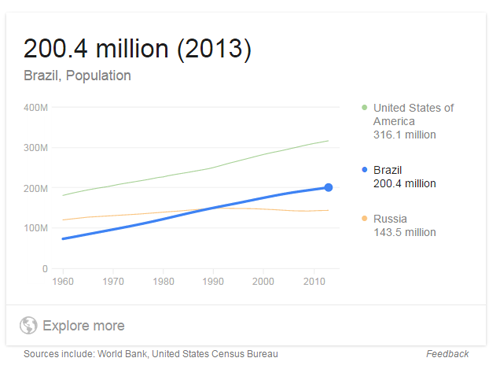 Similarly, as well, is Brazil’s continued mobile Internet penetration, with 20 percent of online sales coming from mobile devices in 2014, according to yStat.com. Where Brazil differs, however, is that their shoppers are used to an installment payment option. According to Digital River, around 53 percent of all online card transactions in Brazil take advantage of installment credits, which requires U.S. companies to work with a local payments partner or a company like Digital River that offers offshore solutions.